Currently Turkey offers the best value for money for your holiday. The exchange rate means that you get about 2.40 Turkish Lira to the Pound, so you will have more money in your pocket to do the things you want. Food, drink and shopping are all cheap in Turkey, so your money will go a very long way. 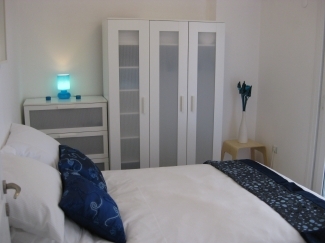 A brand new 1 bedroom apartment in the new, high quality development of Clover Court. 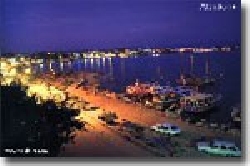 The complex is in Didim/Altinkum on Turkey's beautiful Aegean 'Turquoise Coast'. The apartment is a luxurious home from home, personally furnished and equipped by the owners to make sure that you have everything you need for the best possible holiday. 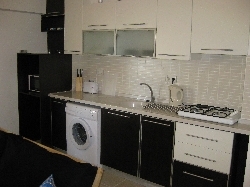 It has modern quality furniture, air conditioning, full fitted kitchen with a hob and microwave oven, fridge, washing machine, TV and DVD/DIVX (plays DVDs & CDs), iron & ironing board, hair dryer and a safe. The apartment is situated on the ground floor, raised up a few feet off the ground, and overlooks the large swimming pool. It has a balcony which runs right across the front of the apartment allowing access from both the bedroom and the living room. The balcony is provided with a table and chairs. The apartment sleeps up to 4. 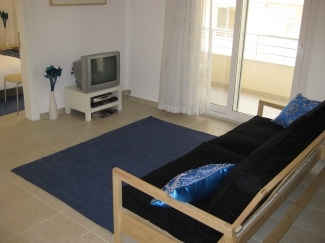 There is a double bed in the main bedroom and a double sofa bed in the living room. It has a spacious open-plan living room and kitchen. The bathroom is well appointed and has a power shower. It is air conditioned and all of the bedding supplied is made of Egyptian cotton, to provide you with comfort throughout your stay. Clover Court is a small resort which caters for families and couples with its lovely swimming pool (with separate children's area), bar/restaraunt, and a small children's play area. You can stay here all year round. We take bookings throughout the year. Our prices are good whatever time of year you choose to come and stay. We have had excellent feedback from people who have stayed in our apartment in 2009. Take a look at our guestbook below. Altinkum is an excellent, established resort town on the Aegean coast and Didim merges with Altinkum, being slightly set back from the sea front. Didim is being gradually developed with high quality holiday complexes, but is not over-developed or congested. 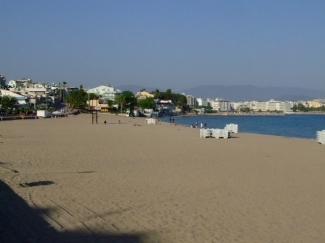 Altinkum has 3 large and safe beaches, and the main promenade offers a huge choice of cafes, restaurants and shops. 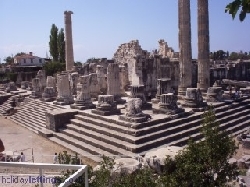 There is a regular minibus service which runs through Didim to Altinkum's beaches and the town and back on an hourly basis, as well as local taxis. Many of Altinkum's restaurants also offer a free car service which will pick you up from Clover Court and drop you back there later. Altinkum by day is glorious with its beaches, shops, markets, cafes, bars and restaurants. You can also book a boat trip or participate in water-sports. 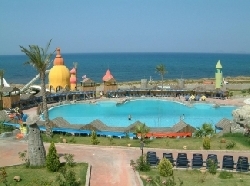 There is an Aquapark nearby and historic sites such as the famed Apollo temple. At night Altinkum comes to life. There are a variety of restaurants, including English, Chinese, Italian, Turkish and Indian. There are English bars, authentic Turkish entertainment, or little Turkish restaurants on the beach for those of you who are romantic. Many of the bars have dancefloors, and the region's top nightclub (Medusa) is in Altinkum with its terrace dancefloor overlooking the moon-lit sea - worthy of Ibiza! Didim itself offers a range of very good restaurants (serving all types of food) and bars within walking distance of Clover Court. Didim's own town centre also offers genuine Turkish food which is both very good and very cheap. There are excellent local supermarkets and a huge range of shops selling everything you could want. Didim has a huge weekly market on Saturdays packed full of bargains. Both Altinkum and Didim have plenty of banks and cash machines. Wherever you go the local Turkish people are very friendly and helpful. Everything you could want from a holiday is here in Didim and Altinkum, and from here you can explore Turkey's stunning Turquoise Coast and the beautiful mountain areas of this part of the country. Local tour companies offer boat trips and inland excursions. If you fancy a winter break then this is the place. The new marina has just opened. There is a golf course near by and most places in Altinkum are open all year round. Everything is open in Didim as this is where all the locals live. It is an excellent base if you want to come to Turkey to explore. Flights can be booked with Airflights.co.uk, Thomas Cook, Thomson, skyscanner.net, aegeanflights.com, cheapflights.co.uk, Aegean Airlines, Turkish Airlines, Onur Air, easyJet and several other internet websites, agents and airlines. During the winter months you can fly with Turkish Airlines & Aegean Airlines. The transfer time from Bodrum airport is about 75 minutes, and about 90 minutes from Izmir airport. Transfers from Bodrum Airport or Izmir Airport can be arranged (and we recommend Asem Travel for this). Longer stays during the winter months will receive discounts as agreed with the owner. Balance to be paid - 6 weeks prior to arrival.